We want your sugar skulls! Started this piece on one of my regulars, she gave me some reference, I drew the rough up on a cintiq, and then tattooed it! 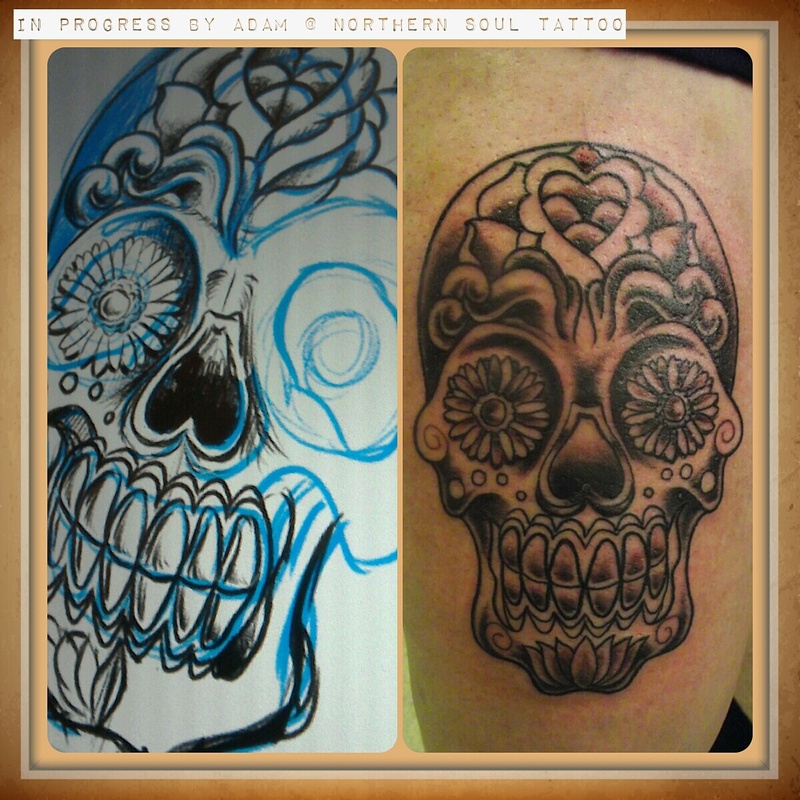 The skull is going to be coloured in another session! 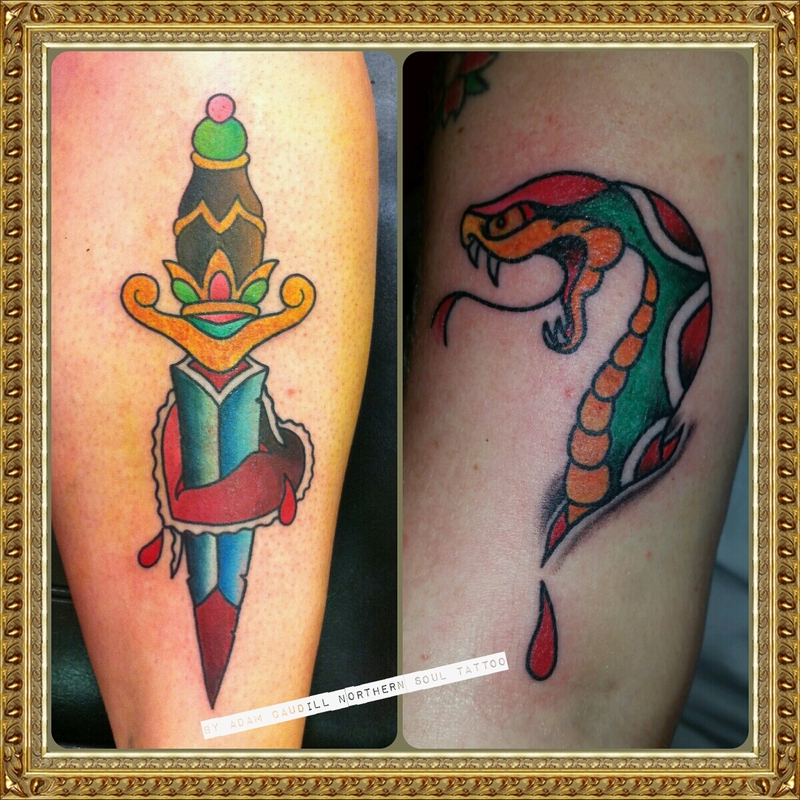 some nice new trad style tattoos, snake and dagger. Which would be a boss band name. or a pub name. The Snake & Dagger. I want a cut if anyone uses that. this is spoken for already but posting it up here, some detail to be added and i’m going to paint this up too, but the basics are all there. 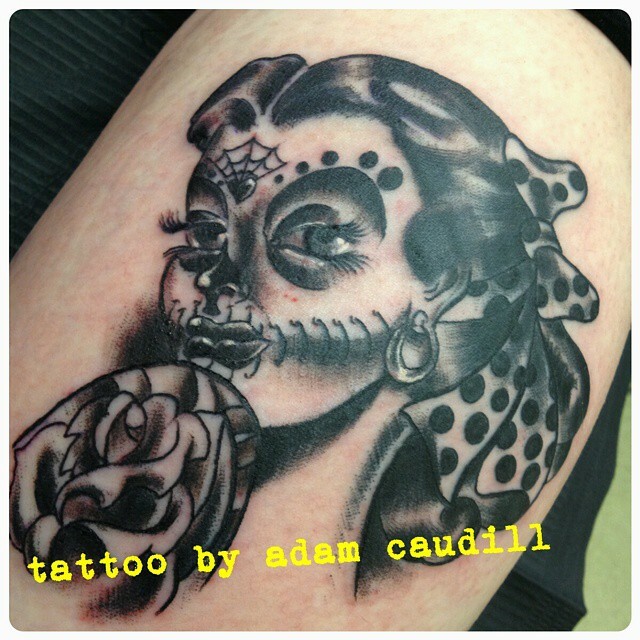 If you are interested in something along these lines email me at caudilltattoo@gmail.com or info@northernsoultattoo.co.uk. 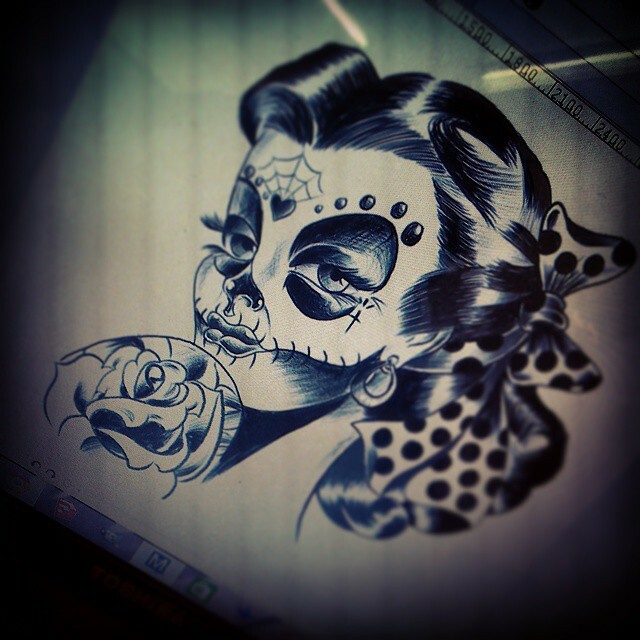 I drew the first pic in manga studio, based on a classic Sailor Jerry Collins design, day of the dead style makeup kind of a thing, the second pic is the actual tattoo that was the final result. 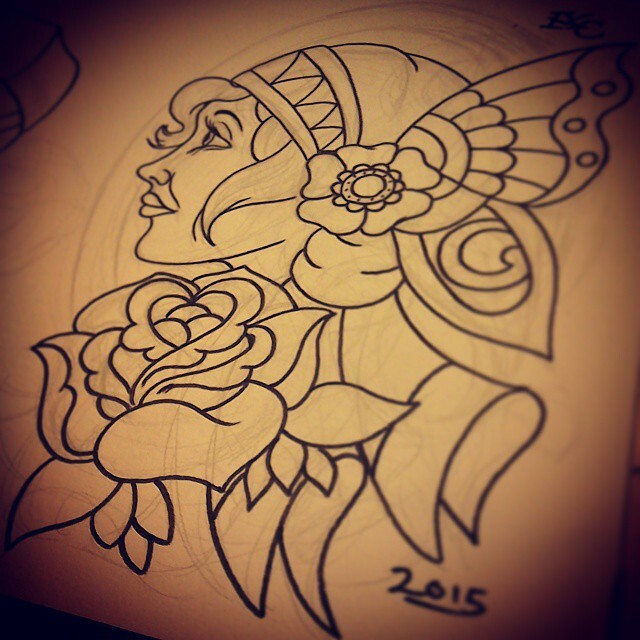 I will be working at Tattoo Tea Party, which is on the 28th of February to March 1st. 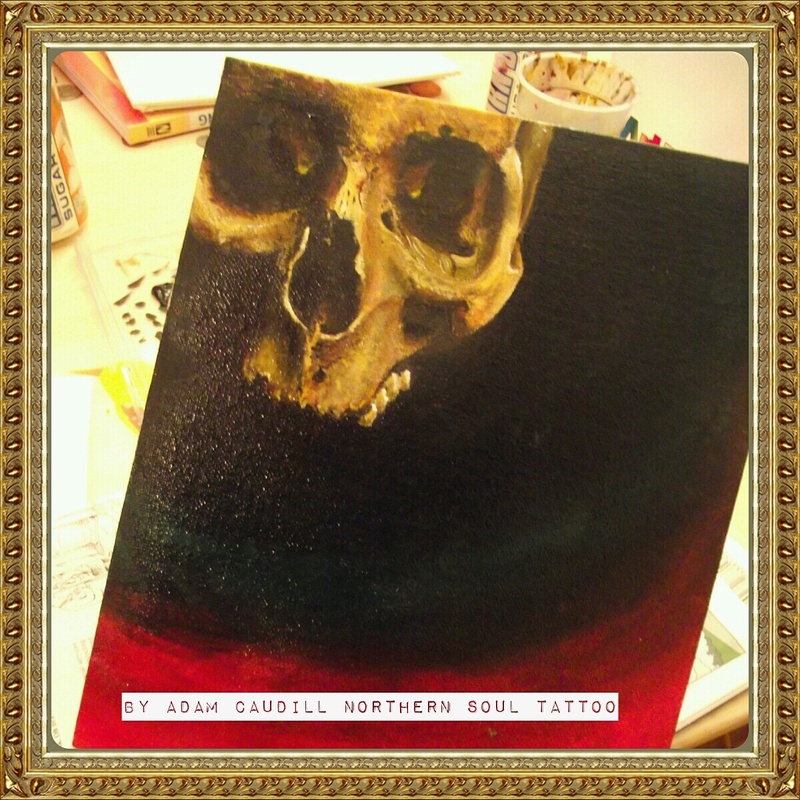 Sharron, Mark and Darryn will be working alongside me at the Northern Soul Tattoo booth too. I’m halfway to being booked up fully but I’ll have some predrawn stuff available for walk ups too, so see you there! 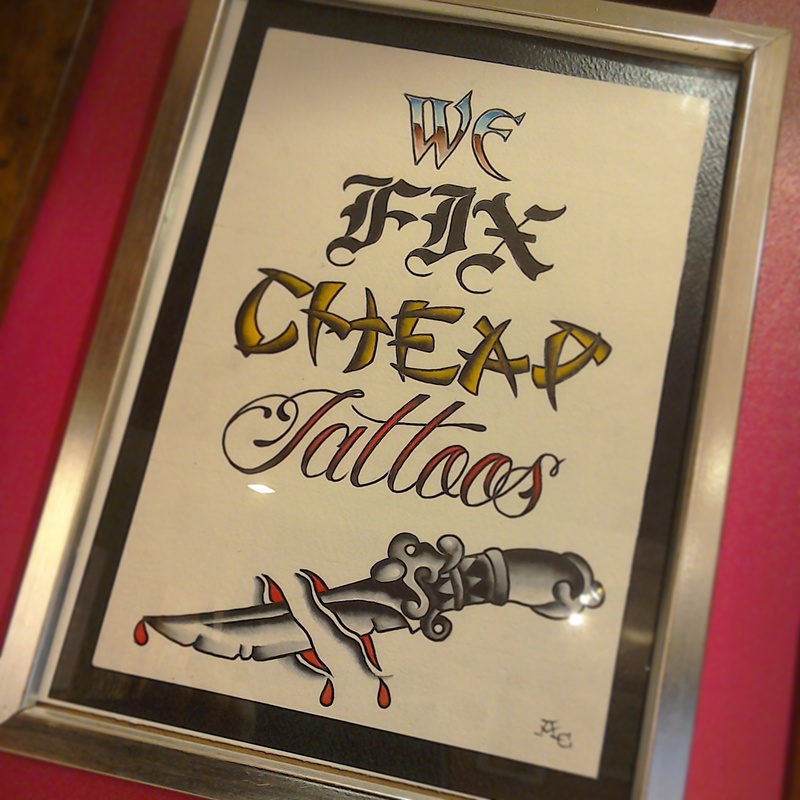 Painted this for the shop today!